Leslie C. Carey joined Long & DiPietro, LLP in February of 2015. 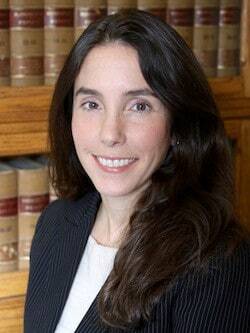 She concentrates in Employment Law, Labor Relations, School Law and Special Education Law. Prior to joining Long & DiPietro, she was an associate at a boutique real estate, land use and civil litigation firm in Andover, Massachusetts, representing clients in both transactional and civil litigation matters. During law school, Leslie was a teaching assistant and interned for Hon. Judith Gail Dein, Magistrate Judge for the U. S. District Court, District of Massachusetts, as well as for a large teachers' union and two large Boston law firms. She is a graduate of Tufts University (B.A. 2001) and Northeastern University School of Law (J.D. 2007). Leslie has been admitted to the Massachusetts and Rhode Island bars since 2007. Leslie C. Carey can be reached by email at lcarey@long-law.com.